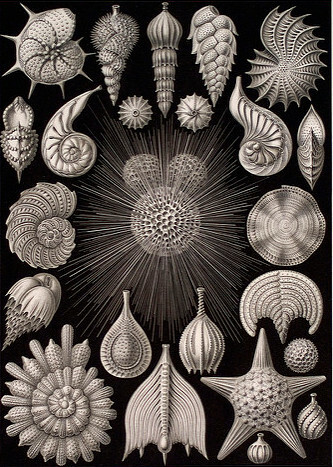 Credit: Kunstformen der Natur, by Ernst Haeckel. Forams deserve far more respect and appreciation than they receive. 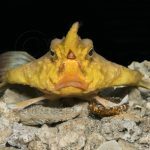 Not only do they represent one of the most important and successful lineages in the ocean, but also one of the most aesthetically appealing, with many species possessing a sculptural beauty rivaling that of any fish or coral. 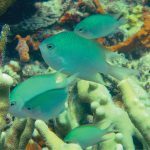 They are ubiquitous in coral reef ecosystems, and, yet, despite their regular occurrence as aquarium hitchhikers, they remain one of the most obscure organisms in our reef tanks. Because of their minute size and a tendency to camouflage, they generally go unnoticed until those moments when, to the befuddlement of many an aquarist, the foram reveals itself pressed against the side of an aquarium. Estimated to have first diverged from their protozoan brethren some 750 MYA, during a period of worldwide glaciation known commonly as “snowball earth”, forams are a particularly ancient group. 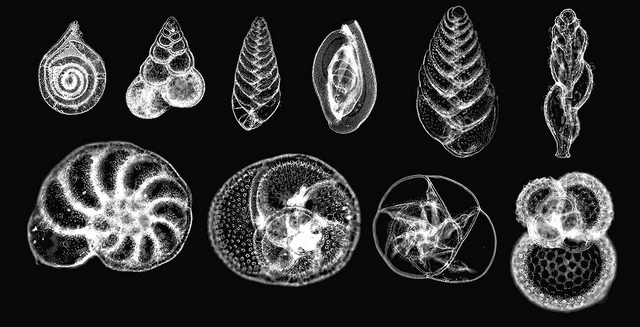 Some 10,500 extant species are presently recognized, all of which are classified within the Phylum Foraminifera. The common and scientific nomenclature derives from the Latin foramen (meaning a hole or opening), in reference to the group’s most salient characteristic: an encasing shell—zoologically referred to as a “test”, as it is covered by layer of cytoplasm—that often possesses numerous internal chambers united by openings called “foramina”. You could easily mistake foraminifera fossils for flecks of dust, but these tiny specimens hold big insights about Earth’s climate. Scientific Assistant Bushra Hussaini, researcher Ellen Thomas, Curator Neil Landman, and intern Shaun Mahmood are preserving this invaluable collection. The shape and structure of the test are of major diagnostic value for understanding the evolutionary history and classification of this group. Traditionally, three major subclades were defined by its composition: 1) entirely organic tests 2) agglutinated tests made from sand grains, sponge spicules, etc. 3) calcium carbonate tests (either as calcite or aragonite) secreted by the foram. This latter group, which is by far the most numerous in shallow tropical waters, forms a pair of speciose subgroups: porcelaneous taxa (which have opaque tests that lack surface pores) and hyaline species (which have shinier tests that typically possess many fine pores). How foraminifera are classified: test composition, test structure, type and location of aperture(s), habitat, single or double wall. Pictures of seven genera of living benthonic forms, one planktonic This is a replacement for 2A posted previously, now deleted because music accompaniment was deemed too loud. Unfortunately, the traditional morphological system of classification correlates poorly with genetic data, which instead suggests that the number and configuration of a test’s internal chambers are of more evolutionary relevance. 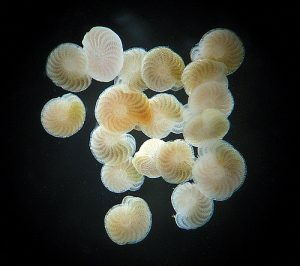 The simplest forams live in the equivalent of a studio apartment, having just one roomy chamber in their rounded shell, but those with multiple chambers can take on a seemingly limitless variety of forms, from elongate, beaded strings to convoluted, seed-like shapes to flat, snail-like forms. This spectrum of complexity matches well with the evolutionary history of the group, as the simpler forms gave rise to a pair of diverse lineages (Tubothalamea & Globothalamea) comprised of multi-chambered taxa that differ in their internal arrangements. The actual living body of a foram is made of a single cell with an amorphous, amoeba-like shape. But, while they may resemble an amoeba, the two groups are only superficially similar; molecular data tells us that an amoeba is actually far more closely related to you and I than it is to any foraminiferan. The business end of a foram is filled with numerous fine, interconnecting extensions termed “pseudopodia” (or, if you’re feeling a bit sesquipedalian, “granuloreticulopodia”) used for feeding, movement and pretty much any other task these creatures might wish to accomplish. The seafloor is covered with billions of mysterious WEB MASTERS called FORAMINIFERA. These unicellular creatures construct unusually complex networks that are essential for their survival. 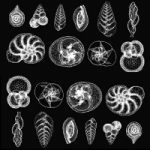 They are responsible for foraminiferal movement and attachment, sensing and transmission of information, hunting and defense, transmission of energy as well as constructing small, but surprisingly sophisticated shells (also called tests). 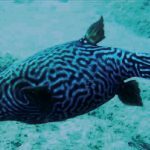 Nearly all species are aquatic, and, of these, most are benthic marine organisms, found everywhere from sandy beaches to the deepest trenches of the oceans. A small number are found in freshwater and fewer still in moist tropical soils, while around 40 extant pelagic species exist. Due to their staggering abundance, these pelagic taxa play an important role in the rate of marine calcium deposition and carbon sequestration. Globigerina is the most prolific of these, forming muddy sediments, sometimes thousands of meters thick, wherever particulates settle on the deep ocean floor. Given their abundance and ubiquity, similar forams in the fossil record are heavily relied upon as biostratiographic markers, used for everything from correlating the dates of sedimentary rocks to palaeoenvironmental studies to prospecting for fossil fuels. Though small in size and simple in structure, these creatures lead remarkably diverse lives. There are a great many forams which feed on benthic detritus, while encrusting species filter particulates from the water column… there are forams that predate upon bacteria, protozoans and, amazingly, even small crustaceans, entrapping them and draining them of their precious bodily fluids before discarding their withered husks… there are forams which are parasitic on their own foram kin, boring through the test of other species to slowly imbibe the delicious, plasmic innards… and there is even one example of a deepwater foram (Hyrrokkin) which feeds on corals.